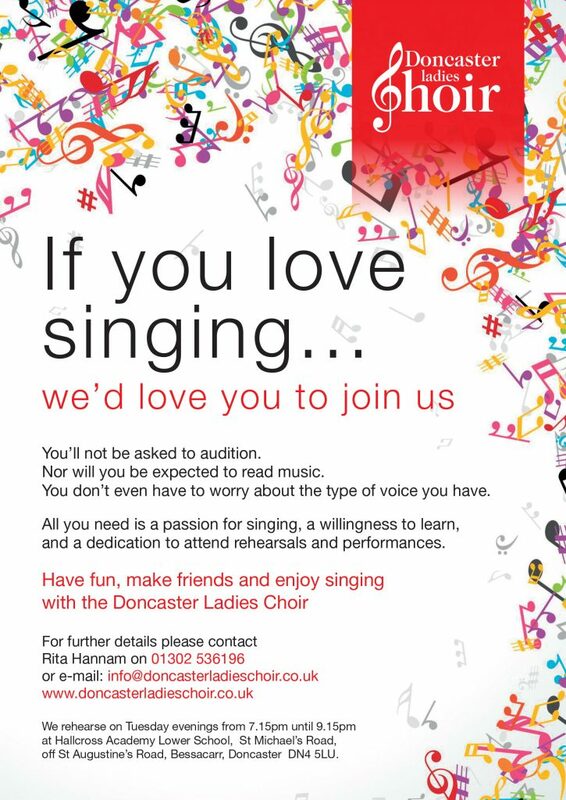 Doncaster Ladies Choir is always looking for new members and we would be pleased to welcome all ladies with an interest in singing. The ability to read music is not essential, only a commitment to attend rehearsals and concert performances. Our rehearsals are held weekly on a Tuesday evening from 7.30pm to 9.15pm, and apart from a short August break they are ongoing throughout the year.